Please join us March 1-2 for the Dartmouth College Case Symposium, as we commemorate the 200th anniversary of the Supreme Court case Trustees of Dartmouth College v. Woodward. "It is, Sir, as I have said, a Small College …." Please join us for the Dartmouth College Case Symposium as we commemorate the 200th anniversary of the Supreme Court case Trustees of Dartmouth College v. Woodward. 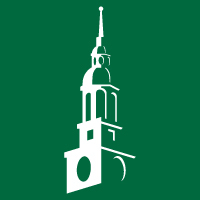 The event is open to the entire Dartmouth community and will include panels and presentations by nationally renowned constitutional law scholars, Supreme Court advocates, and students completing a Winter Term course about the case. A fee of $25 includes all sessions, a Friday evening reception at the Hopkins Center for the Arts, and lunch on Saturday. Registration for the session "Reargument of Trustees of Dartmouth College v. Woodward" on March 1 is now full. Additional seats will be made available on the day of the event with seating on a first-come first-served basis until capacity is reached. Overflow viewing in an adjacent room will be made available. We also invite you to join The Call to Serve, a Dartmouth 250th anniversary initiative to contribute 250,000 hours of service in 2019. Please consider bringing a new pair of adult socks to donate to the Upper Valley Haven to help local community members in need. Click here for a detailed schedule of panelists and presenters.